Model Air planes are a great way to learn about their history while enjoying the hobby. Today we cover types of airplanes and some modeling tips to use when building your quality model. Was one of the first all metal aircraft that was built for WW1. The plane was made by Hugo Junkers in germany. 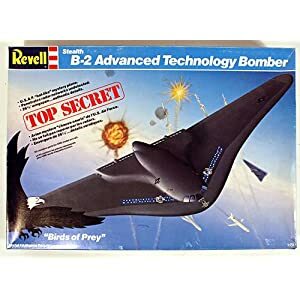 The B-2 bomber was developed as a successor to the outdated B-52 and as an alternative to the unfavourable B-1 bomber. A special, absorbing coating renders the Stealth bomber invisible to radar. The first flight took place at the Edwards AFB on 17.7.1989. Four General Electric F 118-GE 100 engines give the B-2 a maximum speed of 764 km/h at a service altitude in excess of 15,000 metres. Its range when fully laden is 10.00 km, or about 19,000 km with air refuelling. Was a bomber that also had a cabin for passengers and a on board bathroom. We cover lots of history on this and the maker sikorsky. Like the DC 8 that crashed in Jeddah, Saudi Arabia in 1991. Flown by a Canadian company named national airlines. Is one of the largest Canadian plane disasters. With 261 Deaths. We talk about how there is also small passenger planes as well Check it out on their website. We talk a little about what dry brushing is and how to will massively help bring out detail in certain parts of an aircraft. We go on to talk about what you will need and how to execute this fine art. In this section we go over how to give your model plane the paint chips that would be seen on a some what dated plane in its original era. We talk about where this usually happens on the plane as well as how to get this effect to work in your favor. So I hope this was able to help out our new modelers to know what kind of scale model airplanes there is out there. As well as show off some of the companies that I think do a fantastic job when it comes to realistic planes with high detail. Also I hope that I was able to share some tips that even our advanced listeners are able to use and maybe grow on when they are building their next model plane. If you have any other suggestions for this topic like something I missed or a better way to do it, Or other ideas on things you would like us to go over, please share that with me so I may keep coming back with quality information for all of us to use. Thanks again! Remember if you would like to try a free audio book and 14 day trial visit www.Audibletrial.com/Wally Or If you purchase any of these items through the links, This will also help the show grow and access more quality content. A Huge thank you goes out to Derek K. Miller For his music on today’s episode. This song is named Striking Silver. Thanks Derek! I would like to invite you to follow me on twitter to get some quick tips that I may not get into deeply on here. Thanks Again!! !